Views: 356,019 | 8 Global Users. 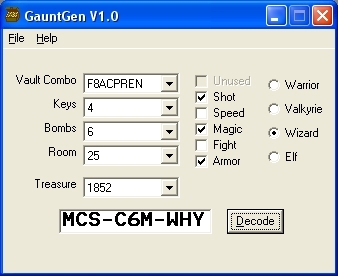 GauntGen is a Password Generator for Guantlet. It was completed in early 2010 but not released till now. Release date 12/25/2010.